YOU MAY NEED THESE PLAYERS TO VIEW SOME OF THESE FILES! ATTENTION- When you right click and select save target as, it may take a minute to load up with the save box, PLEASE BE PATIENT. Ross Movie Clip: - Right Click and select Save target as. Beckett Movie Clip: - Right Click and select Save target as. Ed Movie Clip: - Right Click and select Save target as. Alex Movie Clip: - Right Click and select Save target as. Jan Movie Clips: - Right Click and select Save target as. 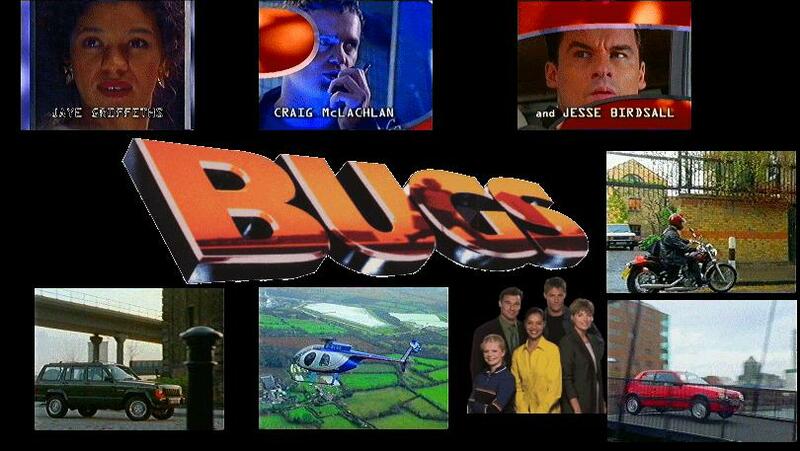 Bugs Starting Sequence: Avi version coming soon! Bugs Font:If it doesn't work, e-mail me! All new movie clips are made by Giles Mossy and are also available on his website (http://www.mossy.demon.co.uk/gus/bugs0.htm). I think the clips are great and I thank Giles for creating them for me! The sound files and movie files are all over 300kb so they will take along time to open. The best thing to do is right click and select save target as, and save on your hard disk.